Open House, Saturday, August 21, 2017, from 2-4pm. 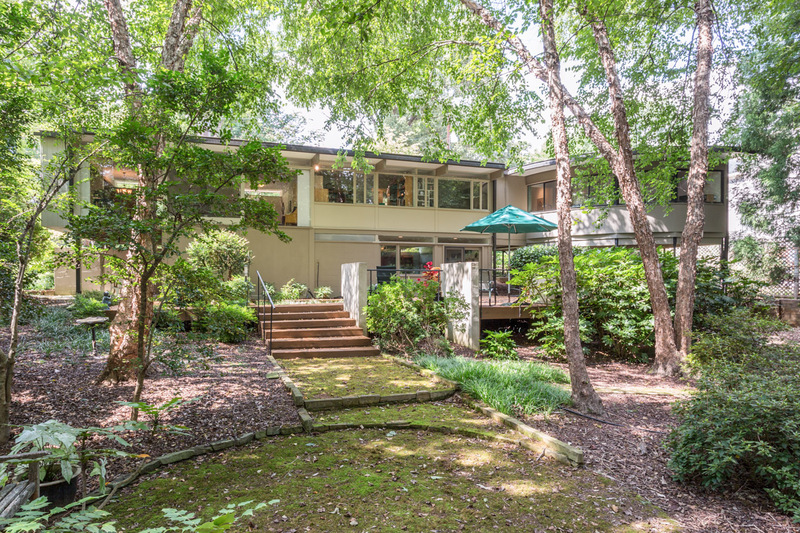 Inside the Raleigh Beltline, this private oasis is close to all Raleigh has to offer. 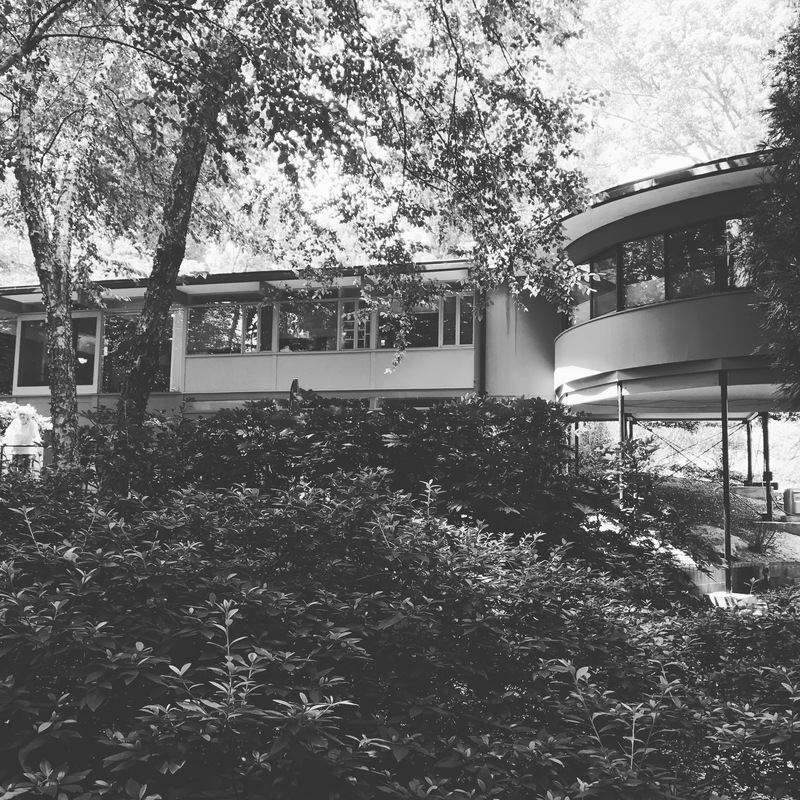 In 1956-57, Wayne Koontz collaborated with his neighbor, George Matsumoto, to design this home for the Koontz family. Mr. Koontz was Matsumoto’s student, and this home still shares the driveway with Matsumoto’s former residence. 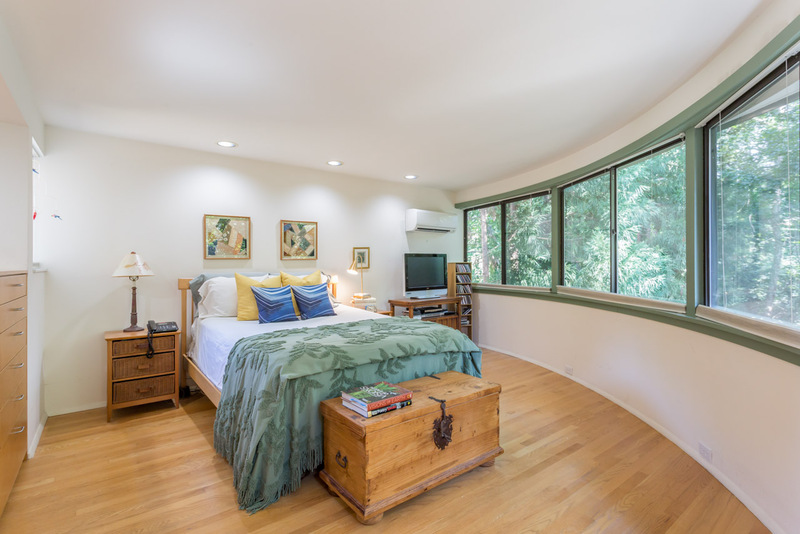 Other architects have contributed to this one of a kind opportunity: A circular master bedroom addition by Frank Harmon, a basement upfit by Epi Pazienze, and a bridge to the street by Brian Shawcroft. This home exemplifies Matsumoto’s philosophy of “Simplicity, Order and Discipline”. Post & beam construction and expansive walls of windows allow views of nature to flow seamlessly to the interior. 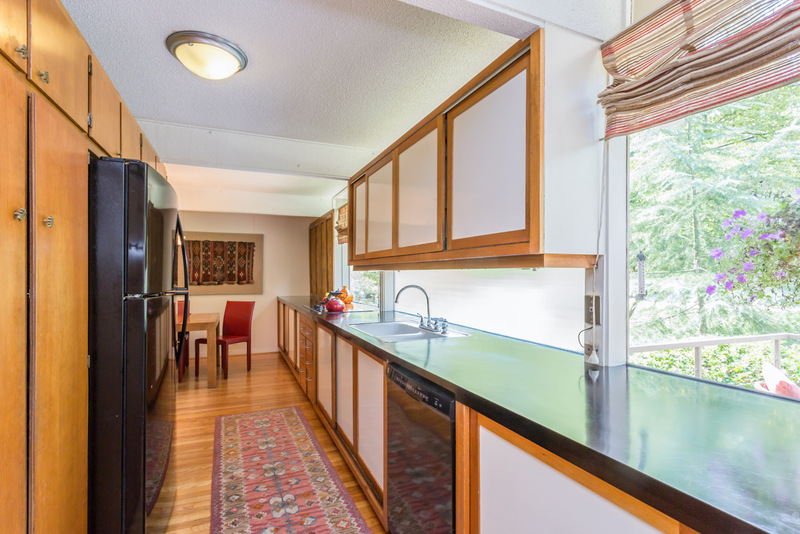 A reed glass window backsplash illuminates the kitchen’s workspaces – and yes, the original deep cabinetry with sliding doors is intact! 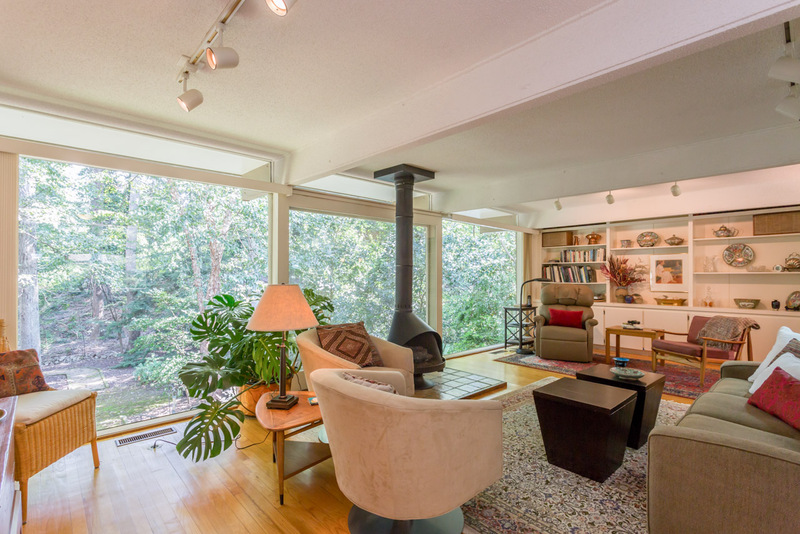 The rear yard is a special retreat with a large deck, with an infilled koi pond intact. An opportunity to create a focal point for this outdoor living space: restore the pond, or create a zen rock garden. A moss lawn also adds to the landscape’s lushness tucked among the mature azaleas. The home has been lovingly maintained and preserved over the last 50 years, and the time has come for the next caretaker. We expect this home will garner much attention among the architectural community, as it is a true specimen of design exuberance from NC State School of Design faculty. 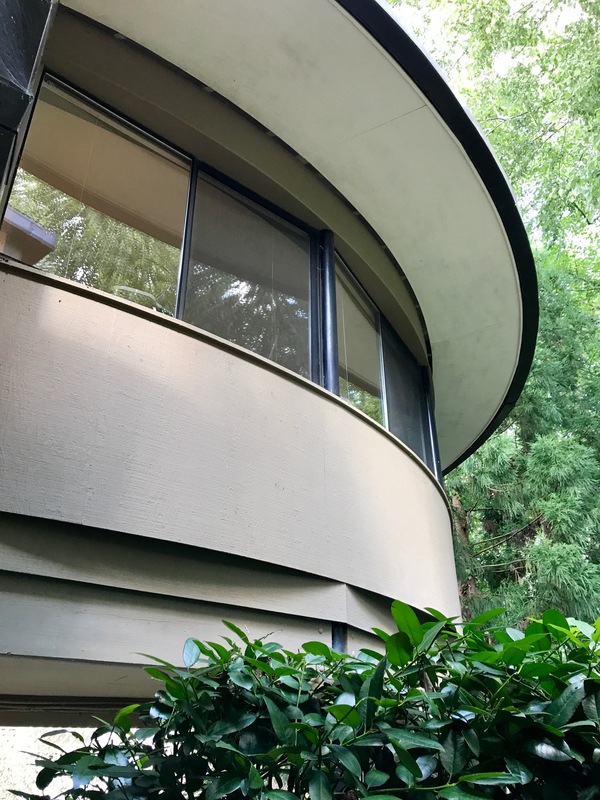 Runnymede Road is a special area in itself – boasting George Matsumoto’s own home next door, and homes by Frank Harmon, Lee Butler, and a new home by Louis Cherry currently under construction a few houses down, (and the grapevine says a new house by in situ may be on its way!) An UDO neighborhood conservation overlay district is in effect, which limits the height and setback of any new structures, in order to protect the current street scape and rhythm– and to reduce the possibility of insensitive new massive construction along this amazing tree-shrouded street.